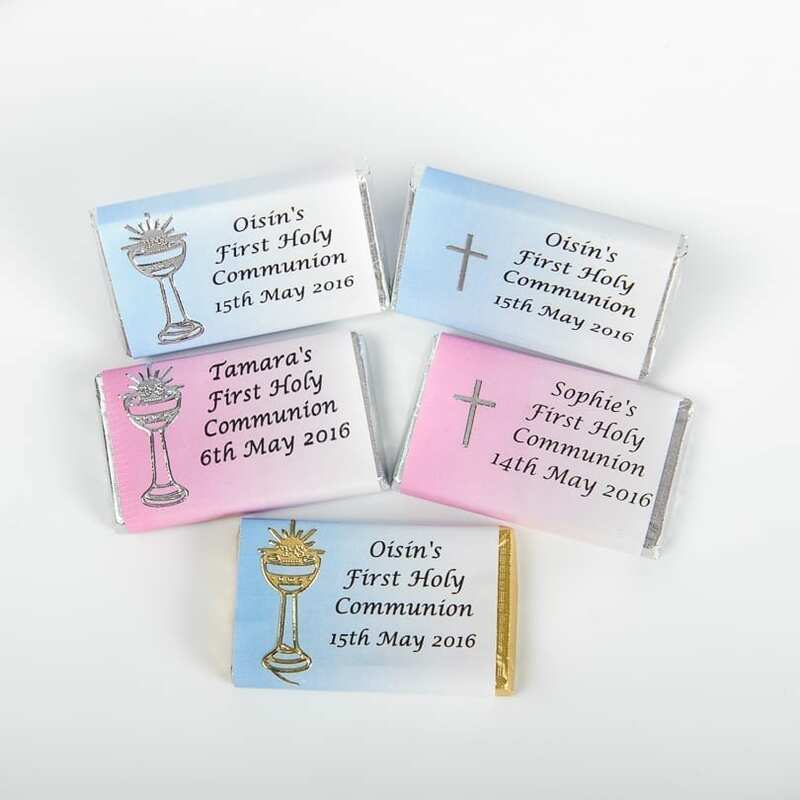 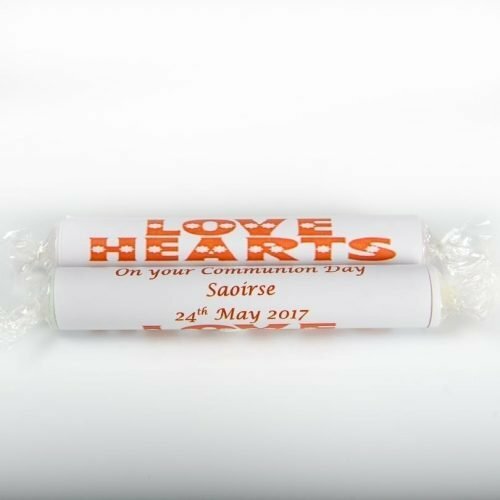 A choice embellishments are placed on the wrappers after printing – choose from a Cross, Dove or Chalice. 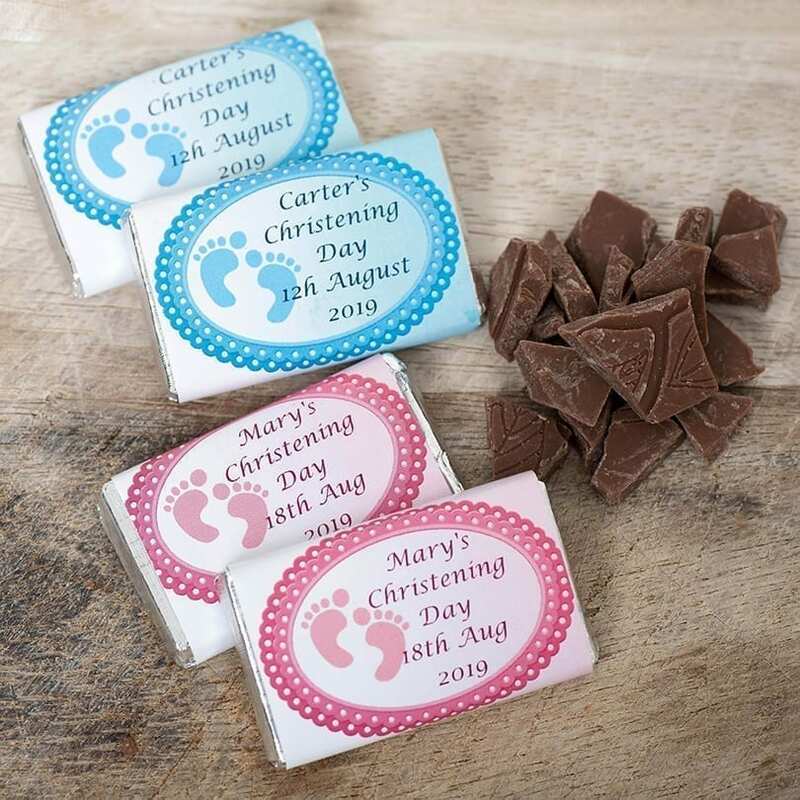 You can also choose the wrapper colour white, pnk or blue. 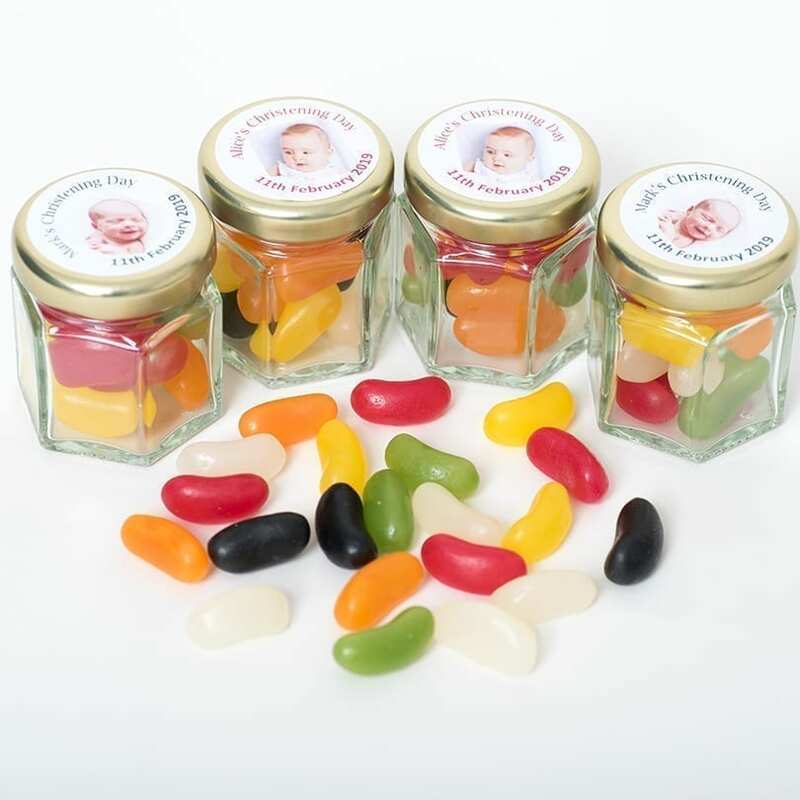 You can also choose the wrapper colour. 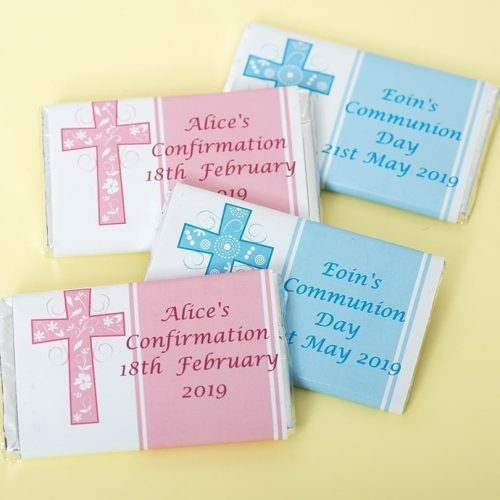 Choose from White, Pale Pink or Pale Blue.